Bring your yoga mat or practice with the grass between your toes at this amazing event to celebrate health – movement of the body, stillness of the mind, and a connectedness to nature. 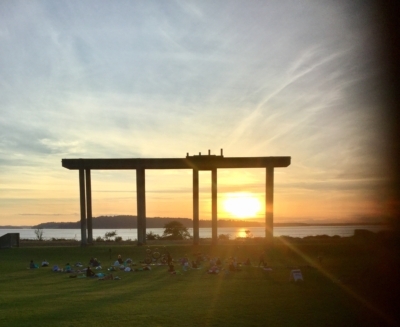 Join us for a blissful Sunday evening with the beautiful Puget Sound as your backdrop for a Yoga and Meditation event with Tuladhara Yoga accompanied by live music. Remember to bring a light jacket to stay warm as the sun sets. This event will be accessible to all levels of yoga experience. Some experience is helpful but not required. Tickets not yet for sale!